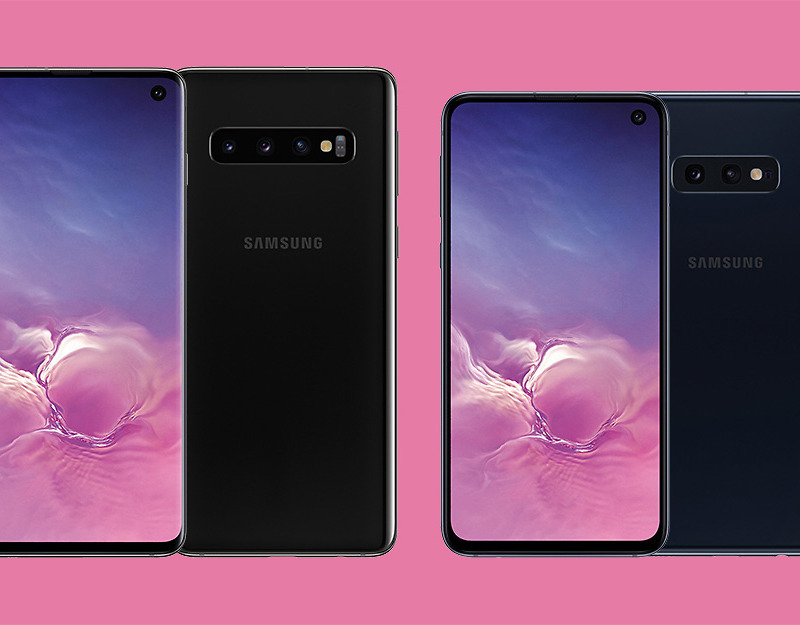 The images arrive this morning from @evleaks and show both the high-end Galaxy S10 in black sitting next to its supposedly cheaper brother, the Galaxy S10e. The Galaxy S10+ isn’t here, but I’m OK with being spared another view of that front camera setup. 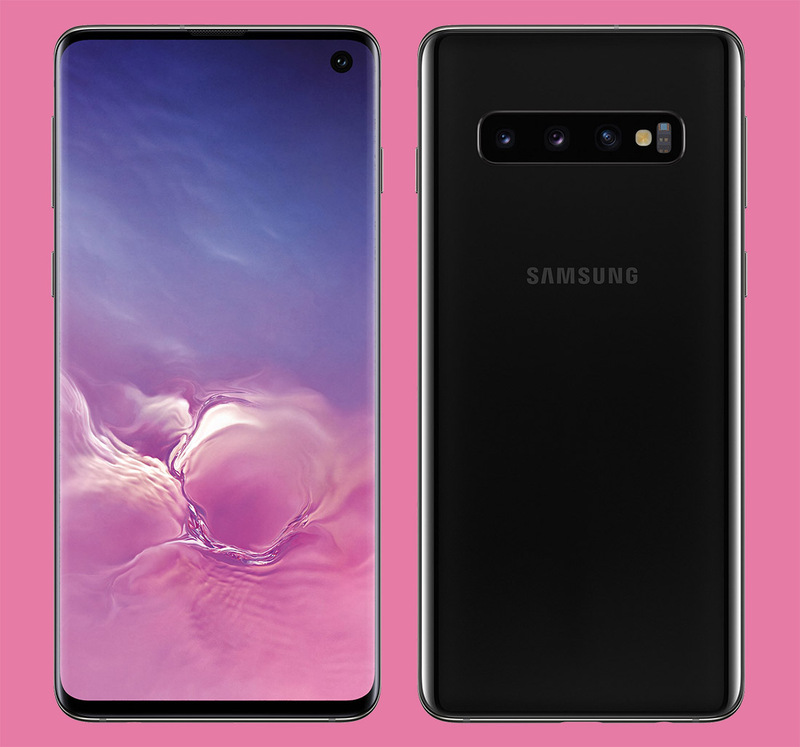 So, here is the Galaxy S10 with its (unofficial) 6.1″ QHD AMOLED curved display, front camera hole punch setup, minimal bezel, triple rear camera, power/volume/Bixby button configuration, USB-C port, 3.5mm headphone jack, and no visible fingerprint reader (because it’s embedded in the display). 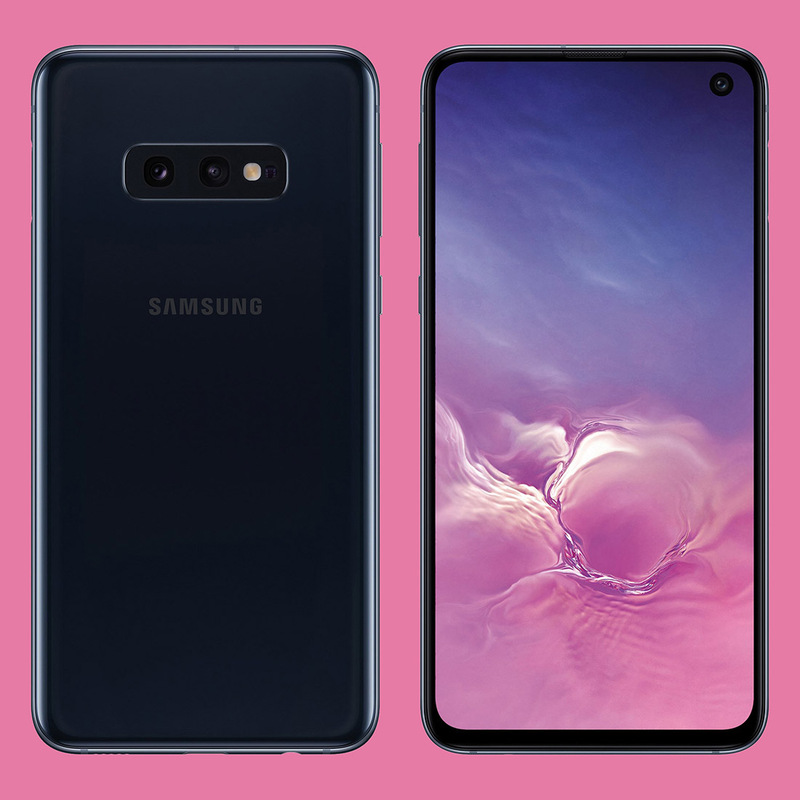 And here is the Galaxy S10e (also in white), with its (unofficial) 5.8″ QHD flat display, front camera hole punch setup, minimal bezel, volume/Bixby buttons, USB-C port, and 3.5mm headphone jack. 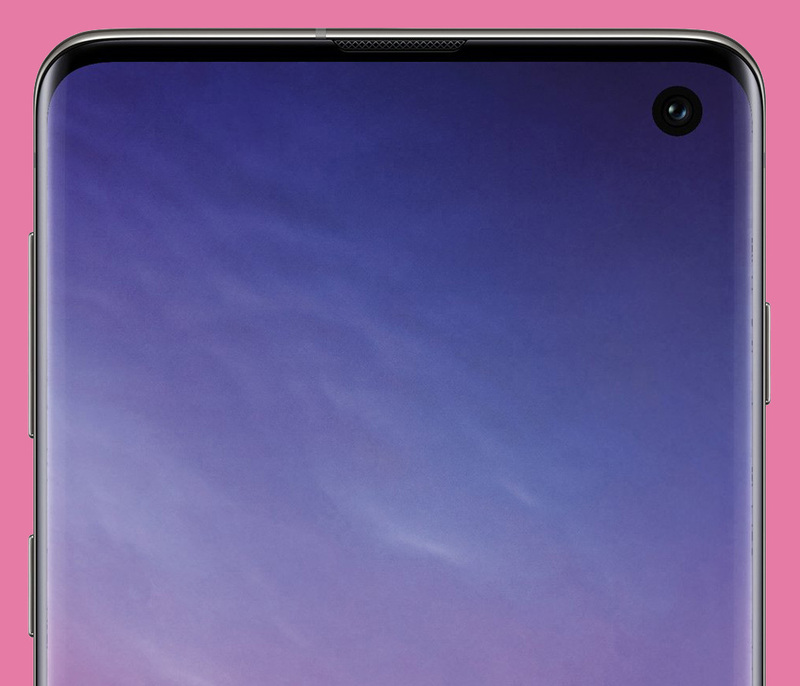 While there is no fingerprint reader showing on the front or back, we’re pretty sure that Samsung is using the side home button to double as a fingerprint reader, similar to what Razer and RED have done in recent years. Because we like such clean images, here are cropped shots of the top of the Galaxy S10 and S10e, where you can really see that skinny top bezel and how Samsung is tucking the speaker/earpiece within it, just under the frame. 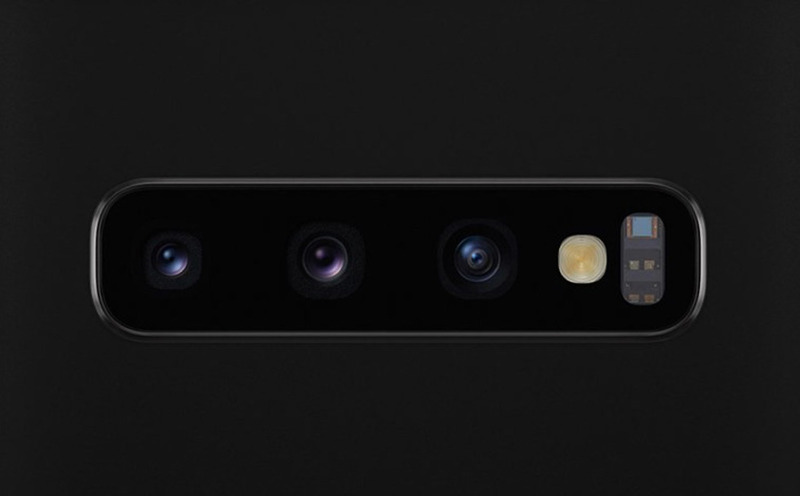 Oh, and there are those front cameras too, looking just fine in both curved and flat displays. Like camera images? 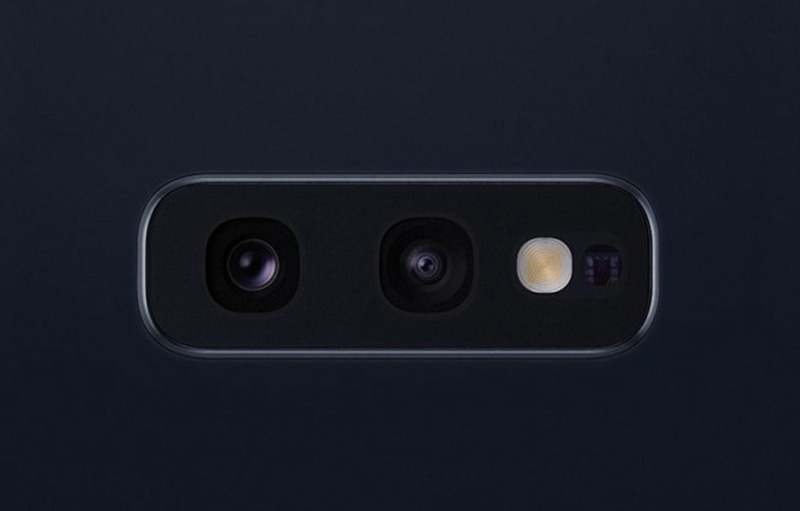 Here are close-ups of the Galaxy S10’s triple cameras followed by the double shooter in the Galaxy S10e. 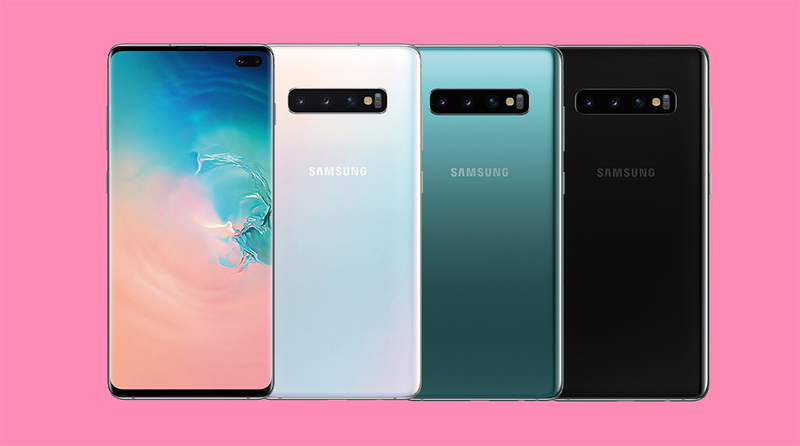 UPDATE: And here is the Galaxy S10+ in multiple colors.